LIBERTY VALANCE REMAKE? SADLY, YES! I just read that there’s a remake in the works of The Man Who Shot Liberty Valance and it’s going to be updated to 1980s urban America. The source is reliable so the news comes as no small surprise. Having covered the making of this classic pretty thoroughly in Lee Marvin Point Blank, naturally through the prism of Lee Marvin’s participation in it ( at least I think I did), there’s very little to add about that other than my opinion of this upcoming remake. Why would Lee Marvin wear a bandana over his face in his opening scene in Liberty Valance? Readers of Lee Marvin: Point Blank know why. 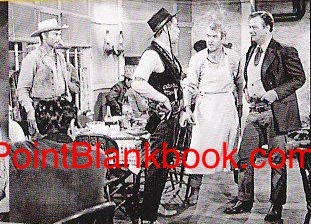 Lee Van Cleef (far left) watches as Lee ‘Liberty Valance’ Marvin holds his own up against film legends Jimmy Stewart and John Wayne. That all said, the obvious question becomes why in the Wide World of Sports would Paramount want to remake this classic western? Yeah, the easy answer is always money but if that’s the case why remove the element that made the film so enigmatic and get listed on the National Registry? Film critic Gene Siskel used to expound on how classic films shouldn’t be remade but bad ones should so they can improved. I partially agree with him but who want to make a bad film? There’s no money in it. It is possible that the remake could open the original up to a new audience of younger viewers but successful DVD sales have already done that. 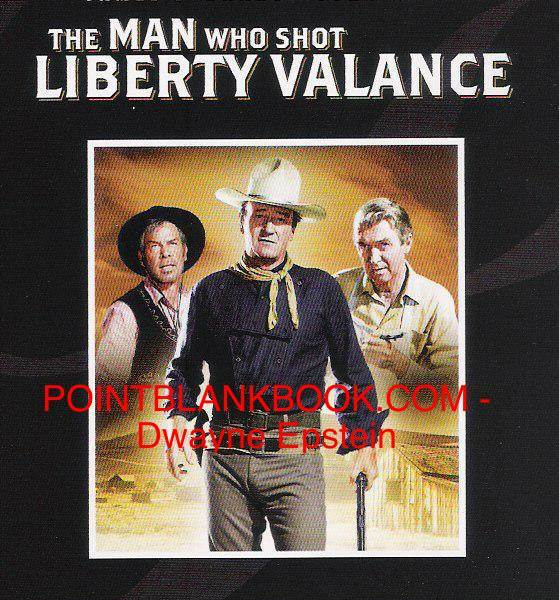 Cover image for the extremely popular deluxe 2-disc DVD release of The Man Who Shot Liberty Valance. So the question still resonates: WHY???? Is contemporary Hollywood so bereft of originality they have to remake EVERYTHING?? Pretty disheartening thought, I know, but here’s an idea. If any Hollywood producer, director, actor, or screenwriter is genuinely interested in a terrific property worthy of screen adapation, contact ME here or my agent, Mike Hamilburg. You’ll be pleasantly surprised to discover what a worthy project Lee Marvin Point Blank would be on the big screen. After all, like the man said, if it’s not larger than life, put it on televsion. 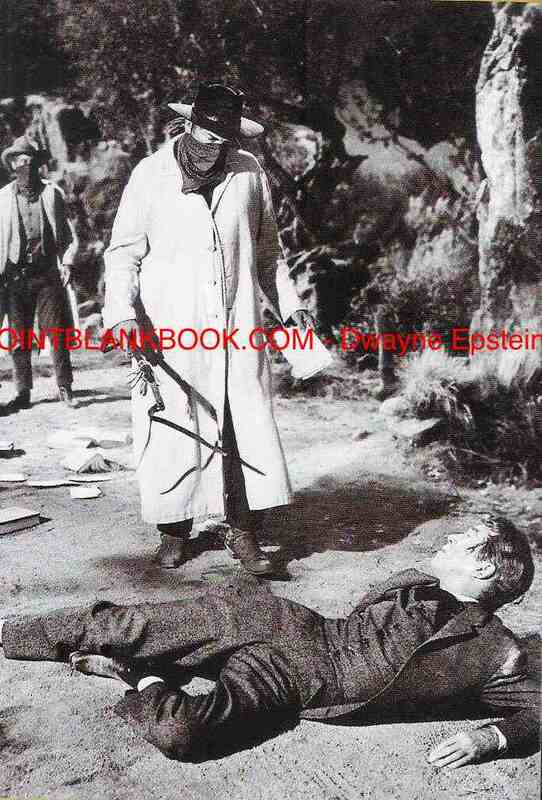 This entry was posted in Blog and tagged Gene Siskel, John Ford, John Wayne, Lee Marvin, Lee Marvin Point Blank, Liberty Valance, Mike Hamilburg by Dwayne Epstein. Bookmark the permalink.